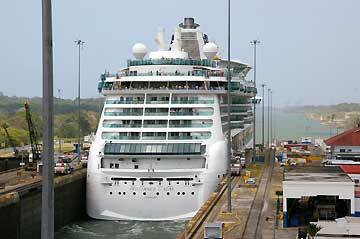 Brilliance of the Seas is a cruise ship owned and operated by the Royal Caribbean International Line. The Brilliance of the Seas features more outside cabins, glass elevators facing the sea, nine-story glass-constructed Centrum, state-of-the-art technology and the Gold Anchor ServiceSM that is second to none, are just a few of the ways this cruise ship will make your journey special and unique. 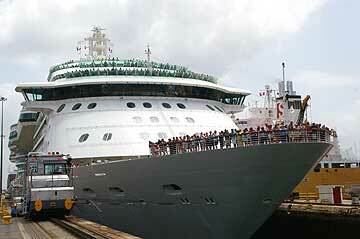 The Brilliance of the Seas visits over a hundred ports of call, in some of the world's most breathtaking locations. From the rugged beauty of Alaska and Canada / New England to the charm of Europe and the lush landscapes of Mexico, Hawaii, the Caribbean, the Panama Canal, Bermuda and the Bahamas. 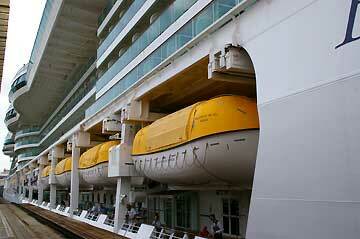 The Radiance Class of Royal Caribbean cruise ships sits between the Vision Class and Voyager Class. 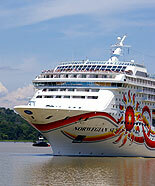 The ship was built at Meyer Werft shipyard in Papenburg, Germany.